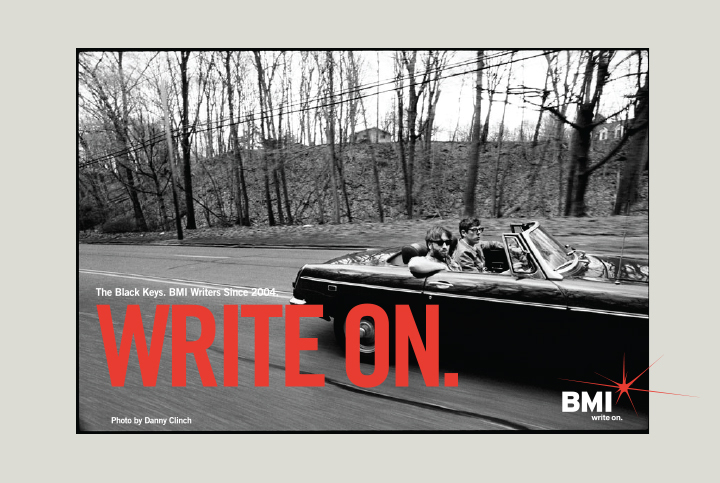 Write on. 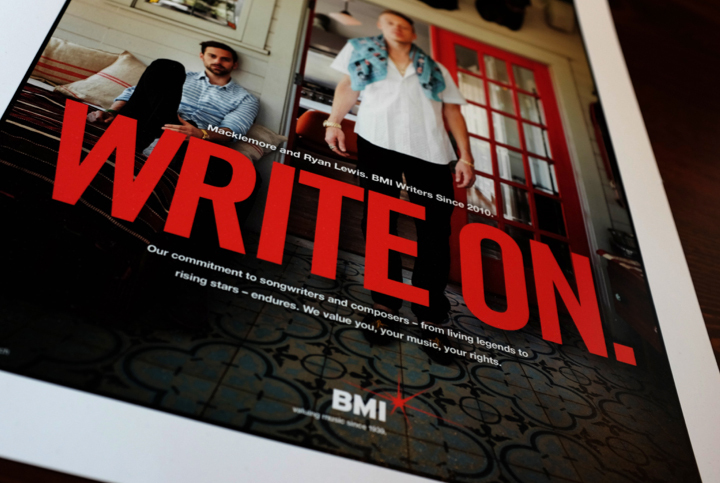 This is the summation of Broadcast Music International’s service to songwriters worldwide and the rally cry at the heart of the brand campaign launched in 2013. 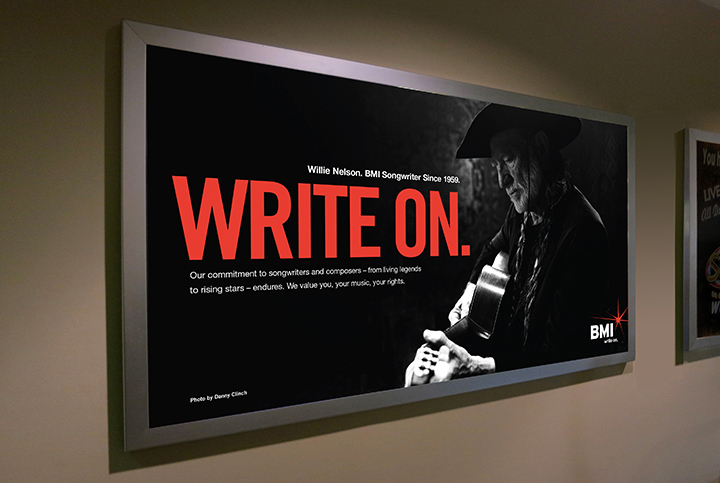 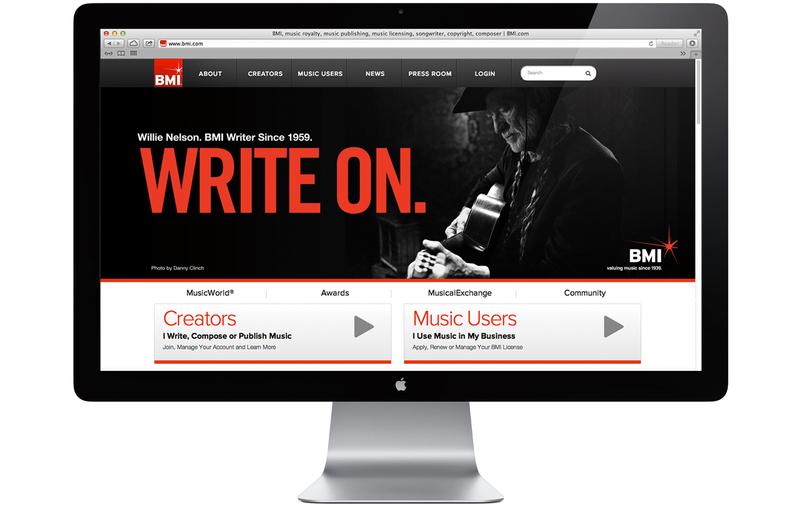 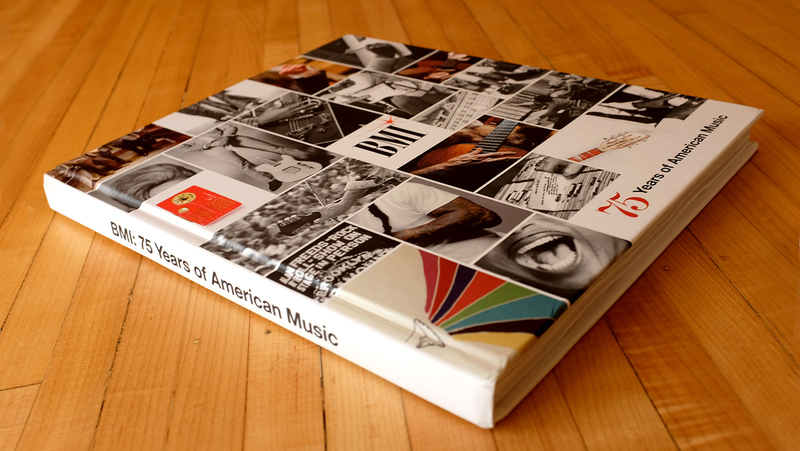 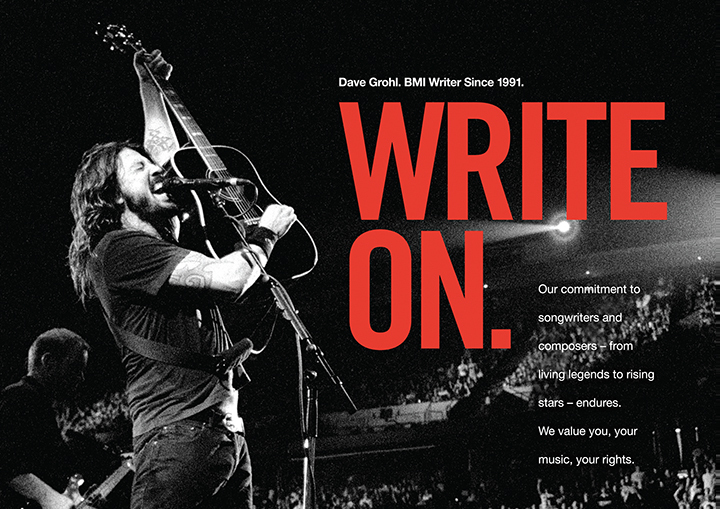 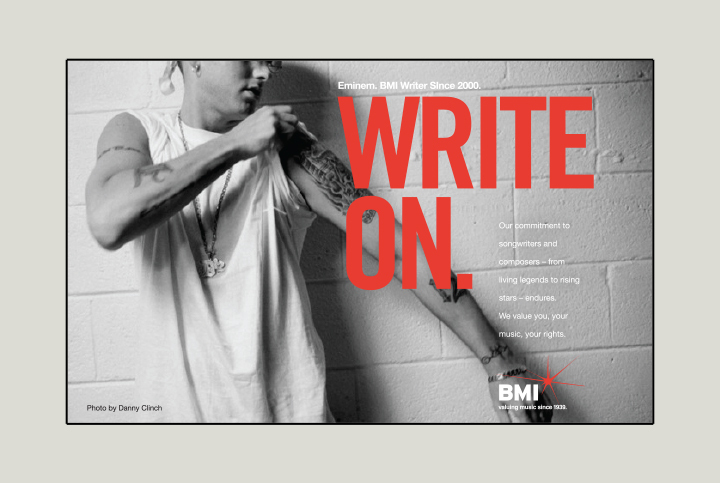 The Write On campaign has gained the attention of songwriters, along with consumers and users of music, and inspires music lovers to understand the source, the art, the craft, and the vital need for BMI as a performing rights organization that honors and values music.